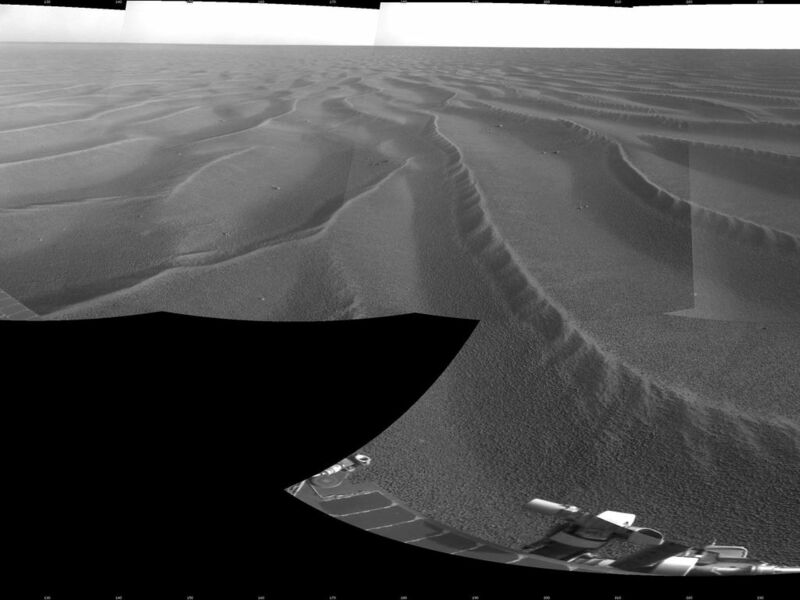 NASA's Mars Exploration Rover Opportunity used its navigation camera to take the images combined into this 360-degree view of the rover's surroundings on the 1,687th Martian day, or sol, of its surface mission (Oct. 22, 2008). 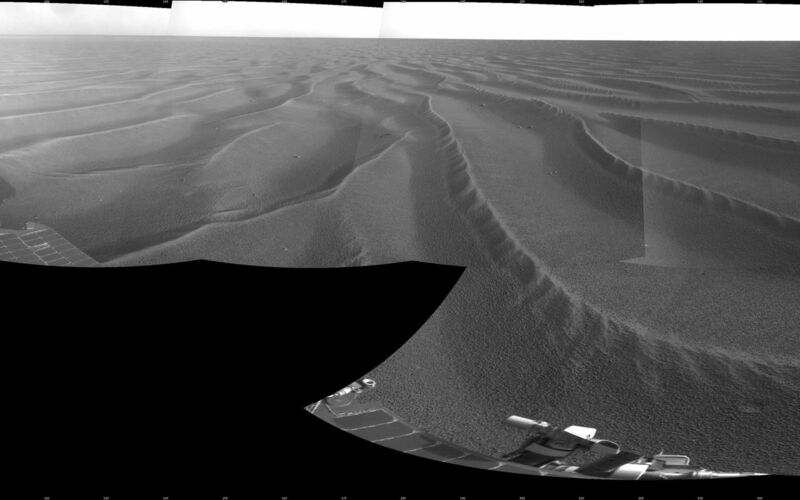 Opportunity had driven 133 meters (436 feet) that sol, crossing sand ripples up to about 10 centimeters (4 inches) tall. The tracks visible in the foreground are in the east-northeast direction. 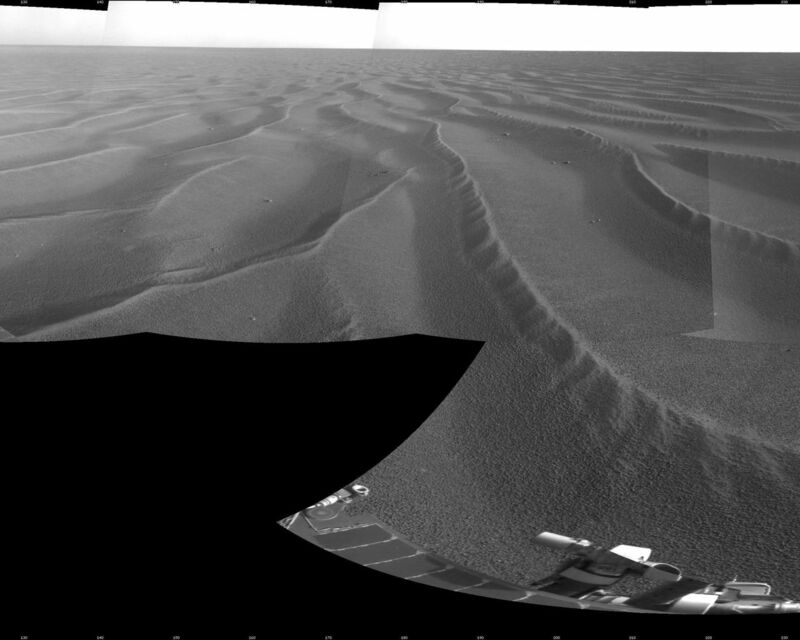 Opportunity's position on Sol 1687 was about 300 meters southwest of Victoria Crater. The rover was beginning a long trek toward a much larger crater, Endeavour, about 12 kilometers (7 miles) to the southeast.